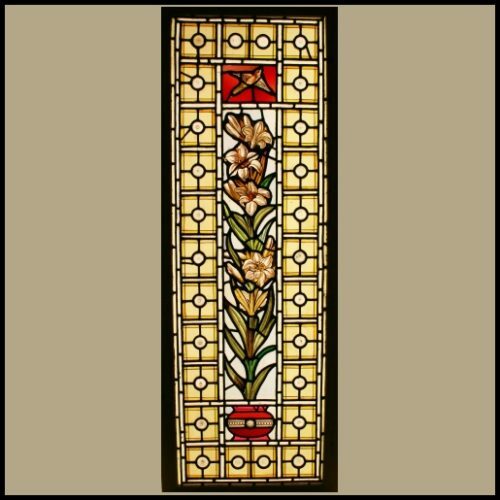 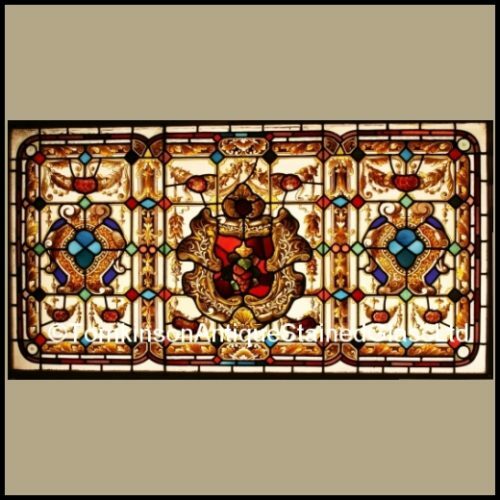 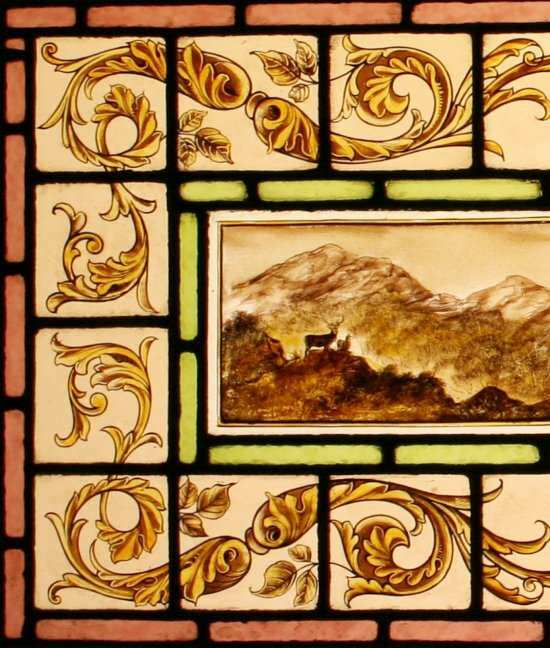 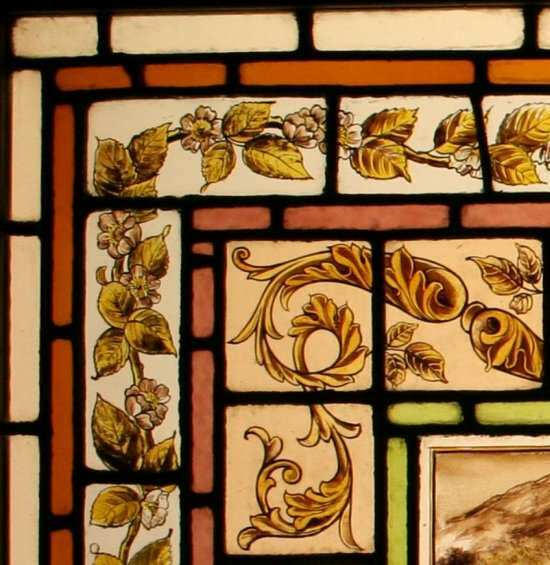 Decorated horizontal late Victorian antique stained glass parlour window. 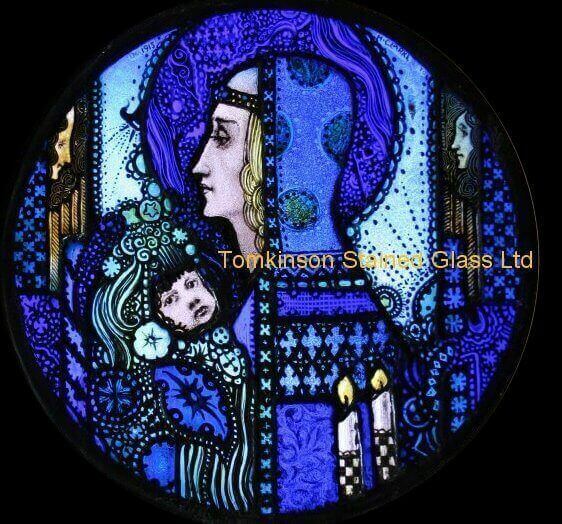 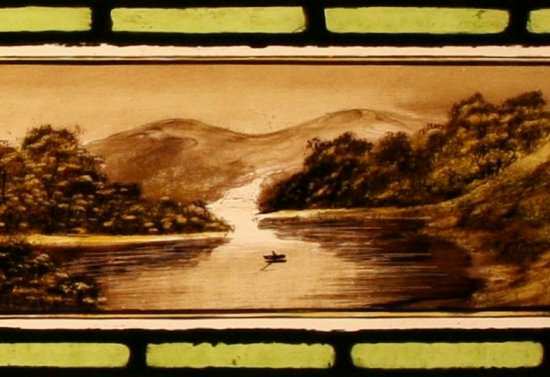 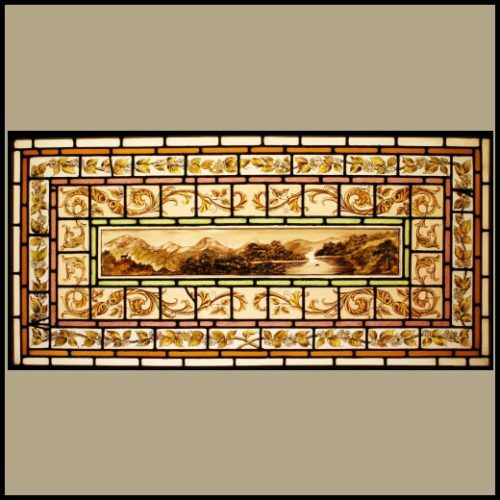 Leaded and hand painted on obscure glass and with an unusually long central scenic panel. 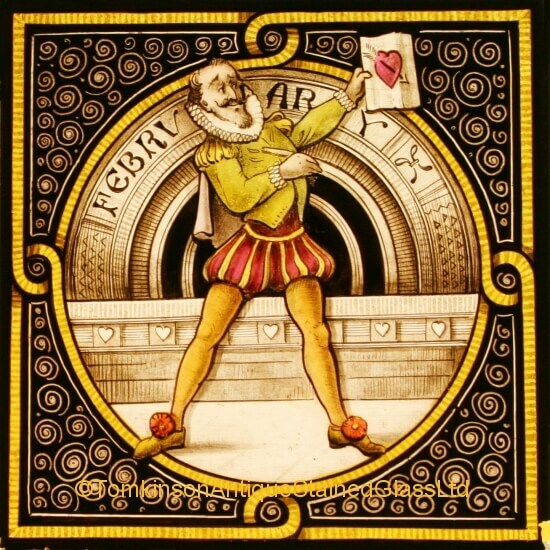 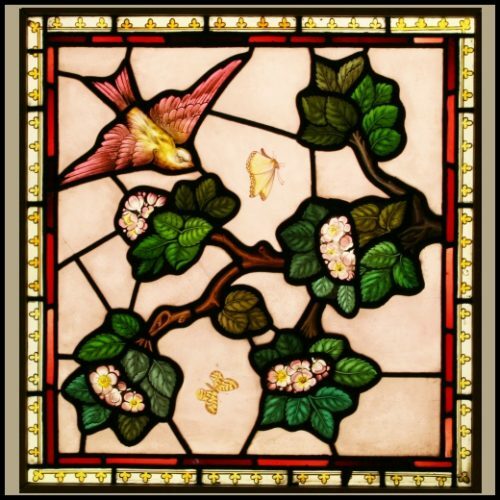 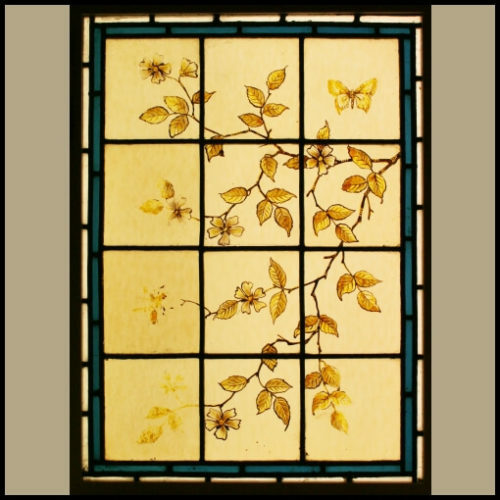 Leaded around are various coloured glass and hand pained borders depicting Acanthus leaves and blossom branches. 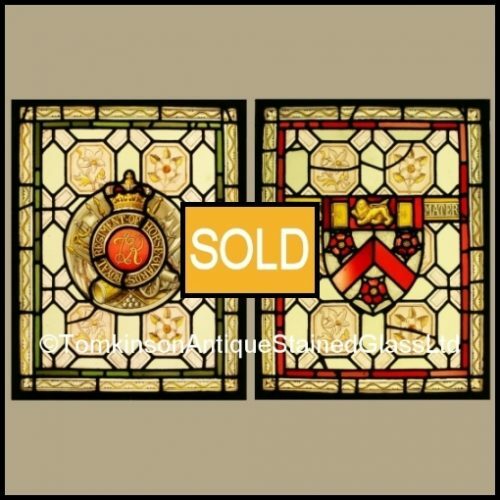 In excellent condition and in original hardwood frame.